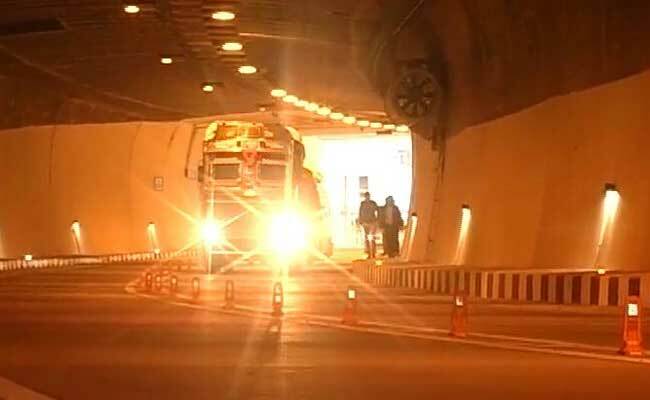 The trial run of India's longest road tunnel in Jammu was done between March 9 and March 15. Jammu: Prime Minister Narendra Modi will dedicate to the nation, India's longest road tunnel built on the Jammu-Srinagar National Highway, which will cut short the distance between Jammu and Srinagar by nearly 30 km. "The Prime Minister will inaugurate the Chenani-Nashri tunnel on JK highway on April 2," Union Minister of State in Prime Minister's Office(PMO), Jitendra Singh told PTI. PM Modi will also address a public rally after the dedication the tunnel project to the nation, he said. The work on the 9.2 km-long twin-tube tunnel, which is part of a 286-km-long four-lane project on the highway, started on May 23, 2011 in lower Himalayan mountain range, and cost Rs 3,720 crore, officials said. The tunnel, which is located at an elevation of 1200 meters, will be the first in India to be equipped with world class "integrated tunnel control system" through which ventilation, fire control, signals, communication and electrical systems will be automatically actuated. It will reduce the travel time between the two state capitals of Jammu and Srinagar by two-and-a-half hours. The road distance from Chenani and Nashri will now be 10.9 km, instead of the existing 41 km, they said. Infrastructure Leasing and Financial Services (IL&FS) Company is all set to handover the tunnel project to National Highway Authority of India (NHAI) soon after its formal inauguration by the Prime Minister. 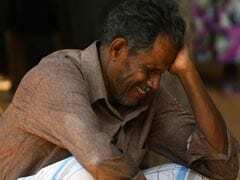 "The formal trial run was successfully completed for peak, off peak hours between March 9 and March 15," Project Director, IL&FS, JS Rathore said. Once the tunnel becomes operational, it will reduce the traffic jams on National Highway-1A that occur due to snowfall and avalanches in winter at Patnitop, he said. Travel will cost a Light Motor Vehicle vehicle Rs 55 on one side and Rs 85 for to-and-fro journey and Rs 1,870 for one month travel, while bigger vehicles like mini buses will have pay Rs 90 as one side toll and Rs 135 for to-and-fro toll. Buses and trucks will have pay Rs 190 as one side toll and Rs 285 as two-side toll. Mr Rathore informed that IL&FS Company has setup a well-equipped fully computerised operation room for surveillance of vehicles inside the twin tubes.